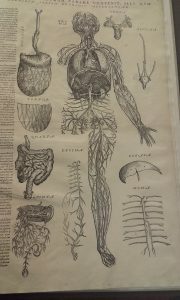 “Man: His Structure & Physiology: Popularly Explained and Demonstrated” by Robert Knox, 2nd edition, London: H. Bailliere, 1858. 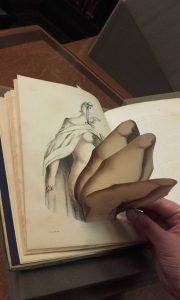 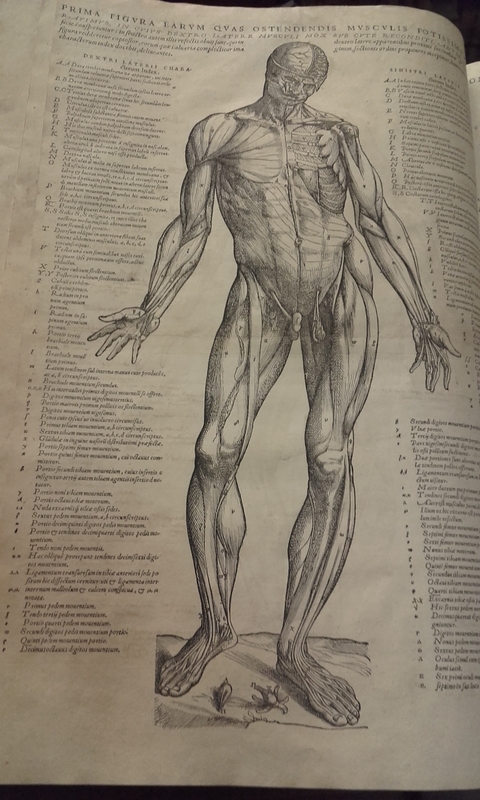 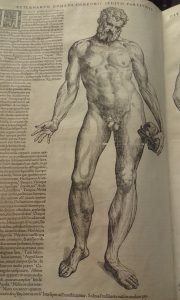 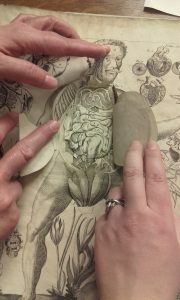 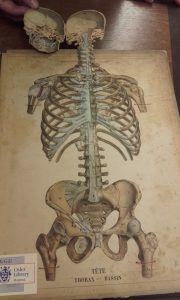 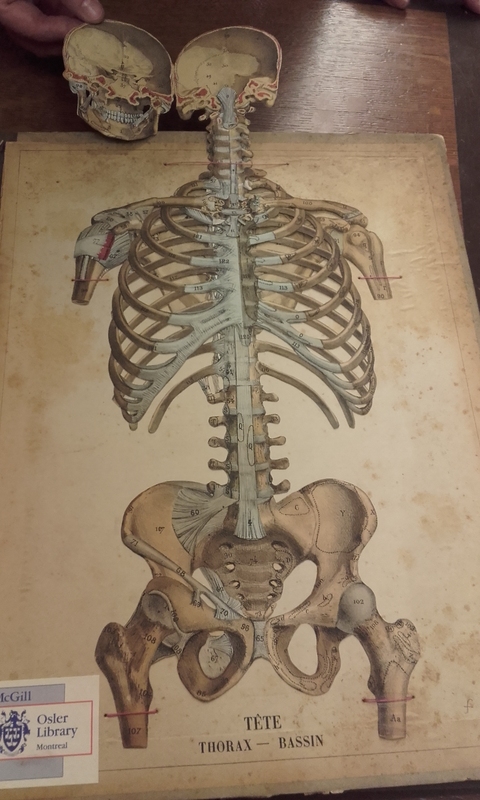 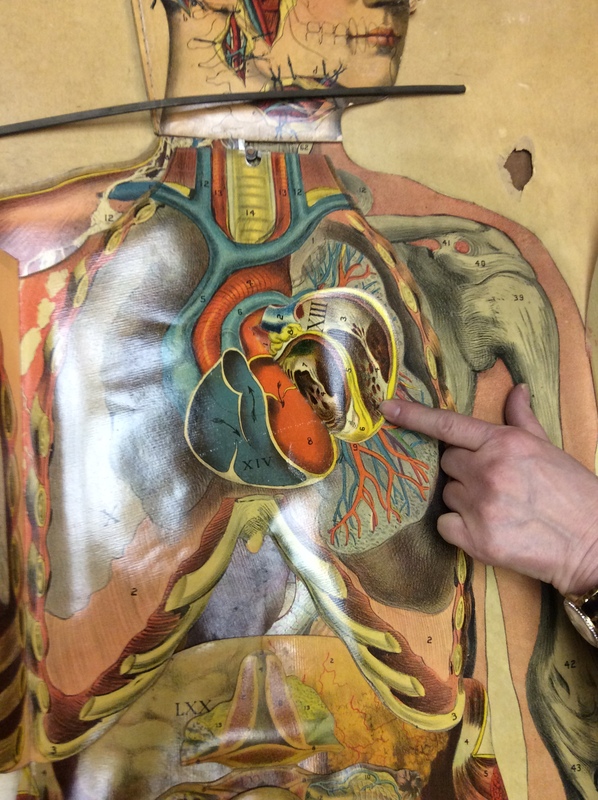 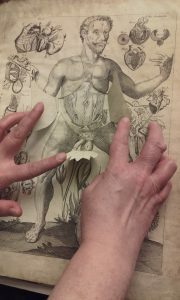 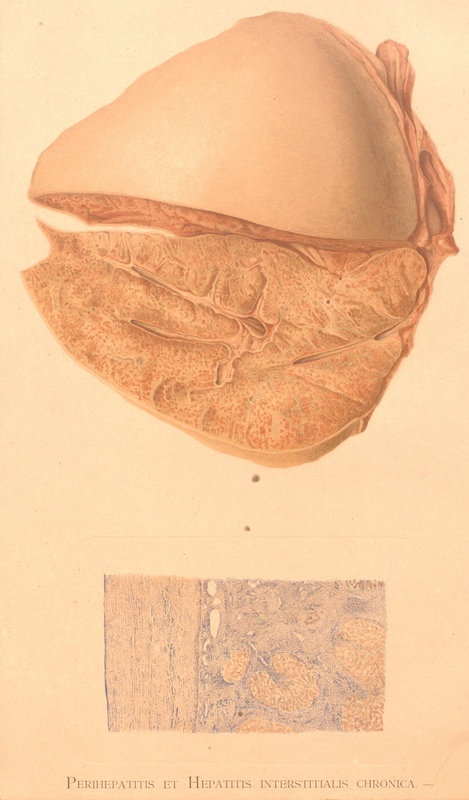 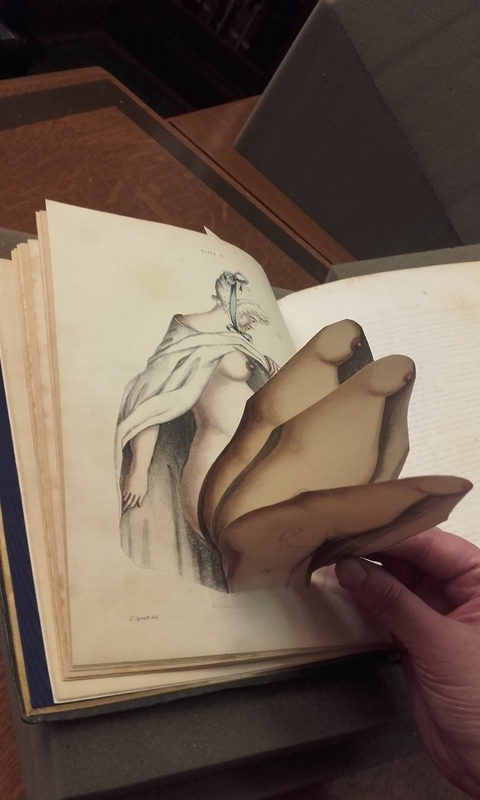 This month we’ve chosen to highlight an anatomical atlas by Scottish anatomist, zoologist, and physician, Dr. Robert Knox (1791-1862). 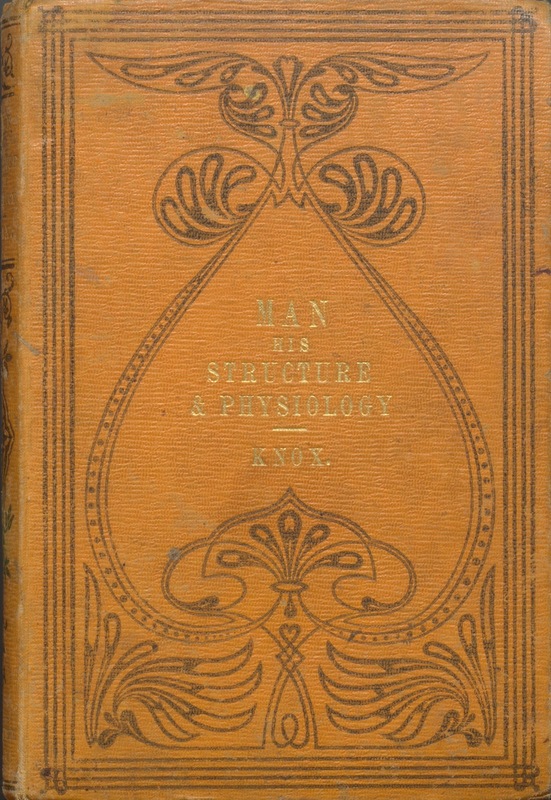 His popular book entitled Man: His Structure & Physiology: Popularly Explained and Demonstrated was originally published in 1857, with a second edition (shown here) printed a year later in 1858. Knox was an esteemed professor at The University of Edinburgh — famous for his dissections and lectures which were often ticketed and open to the public. 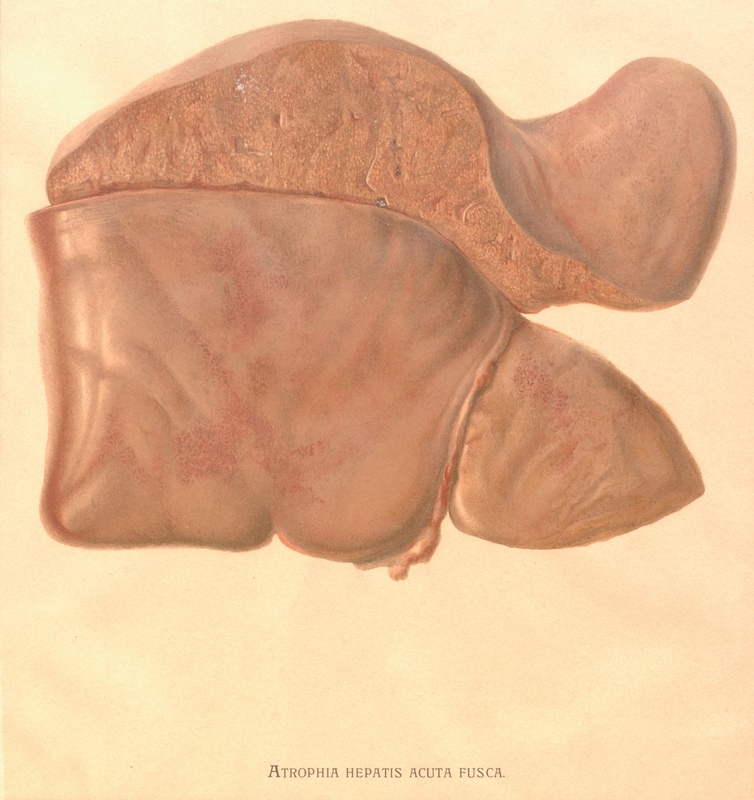 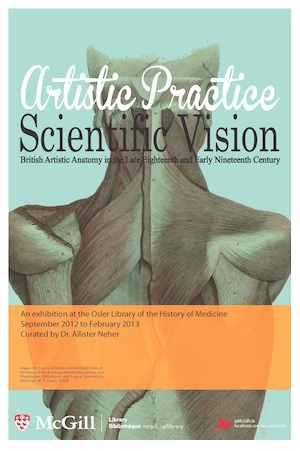 Prior to the 1832 Anatomy Act, it was discovered that Knox relied on illegal methods to acquire his cadavers. Knox was connected to the Burke and Hare West Port murders of 1828, and despite never being tried, his reputation was forever marred in controversy. 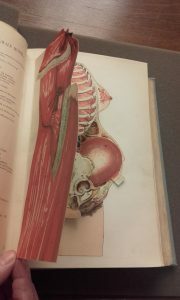 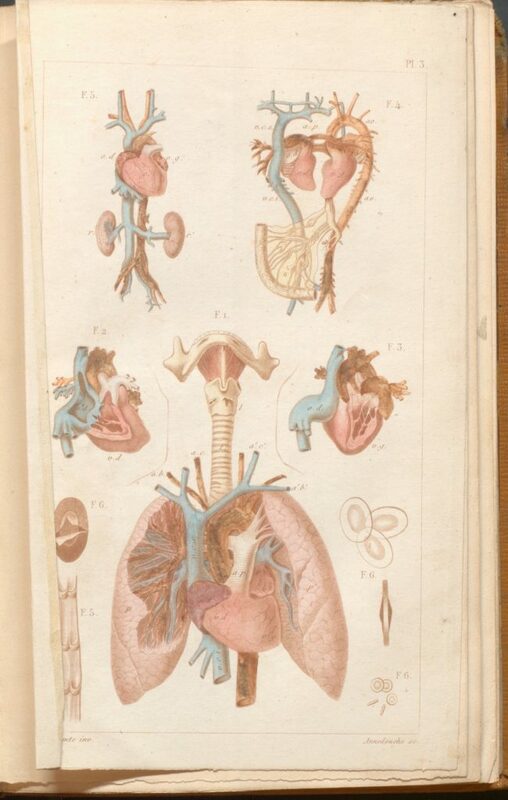 The atlas is described in simple language and includes some detailed plate illustrations — several of which can lift (“pop-up”) off the page. 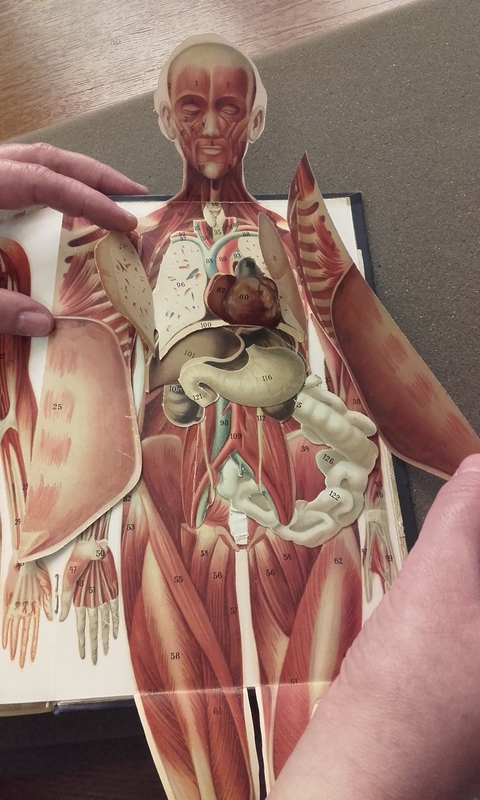 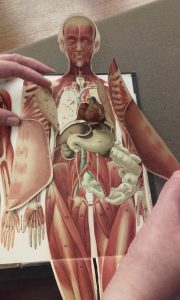 The idea behind this design was to imitate a dissection as much as possible, allowing students and readers to discover multiple layers of physiological detail. 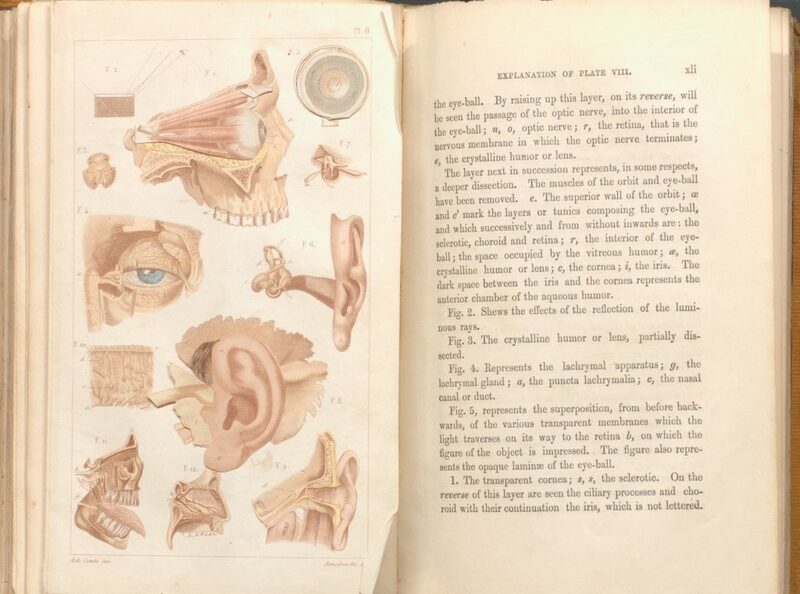 As the preface of the second edition describes, it is an “elementary and educational Work, containing such an outline of Human Structure and Human Physiology as may prove a safe basis whereon to build the edifice of special or philosophic inquiry and research” (London, October, 1857). 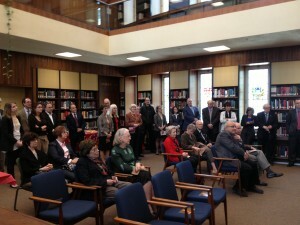 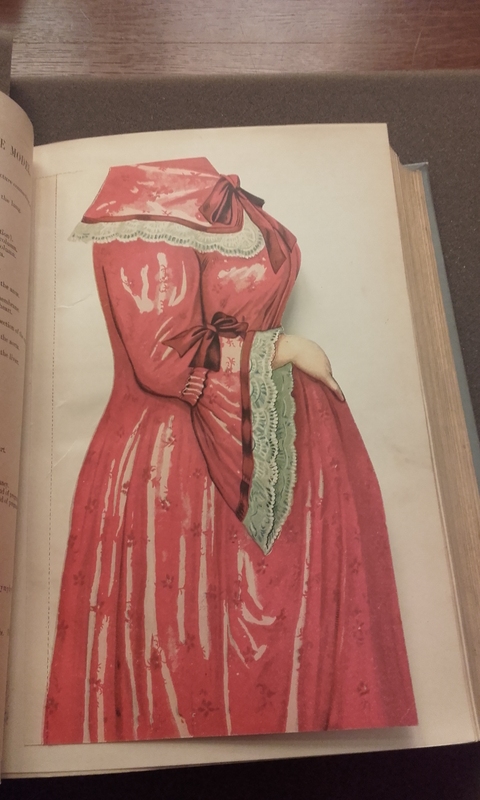 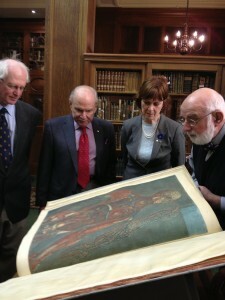 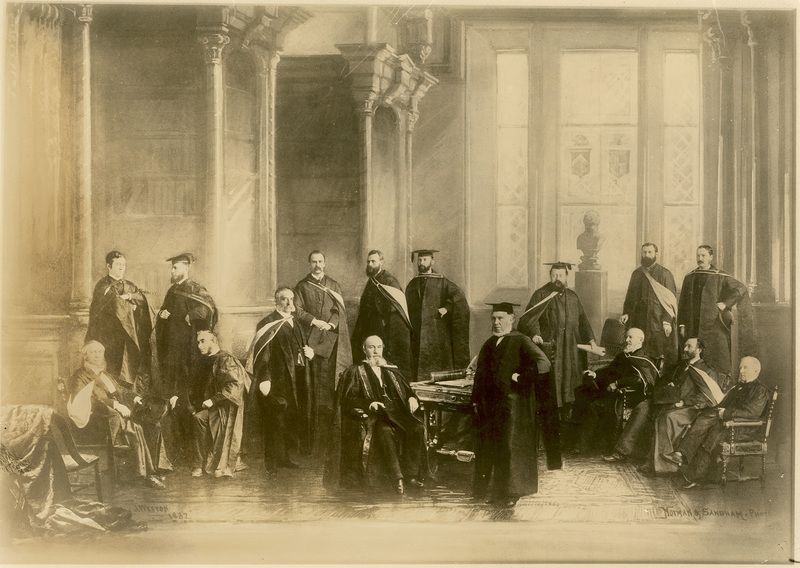 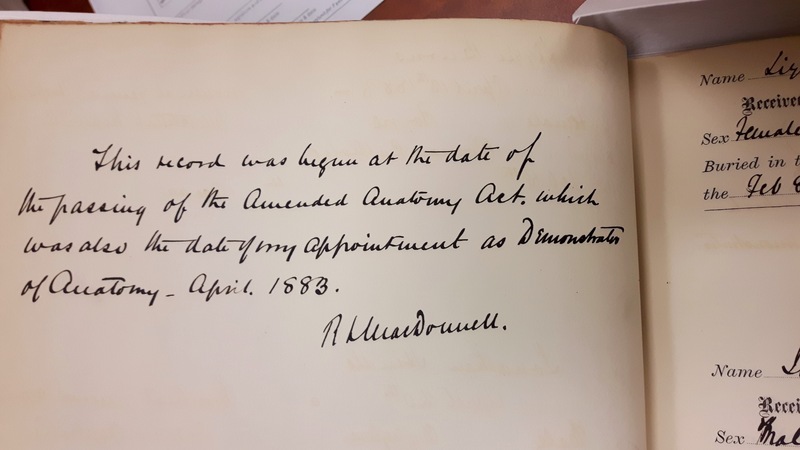 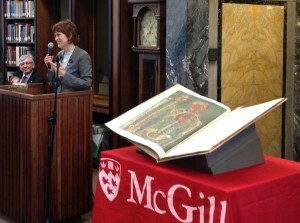 The book is available to view at the Osler Library during regular hours. 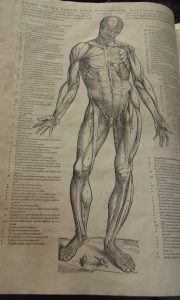 For those who are not able to visit the library in person, a digitized version of a more recent pressing can be accessed at archive.org. 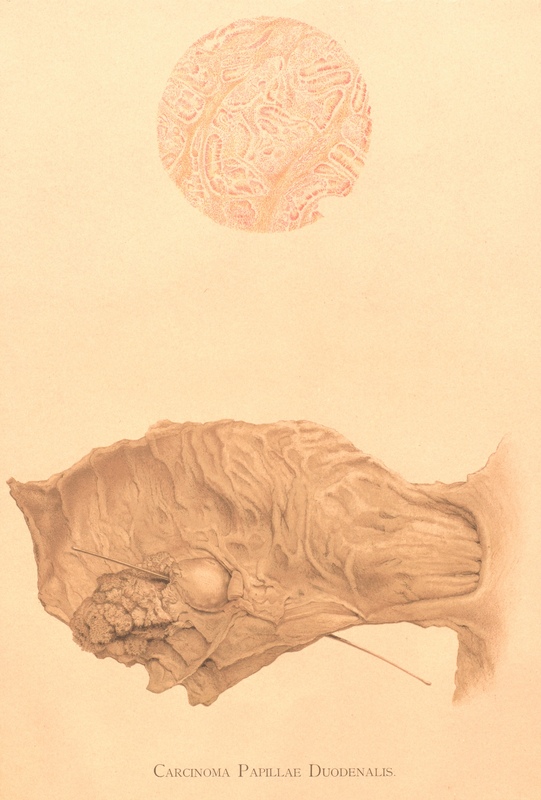 Plate #3 from Robert Knox’s “Man: His Structure & Physiology: Popularly Explained and Demonstrated”, 2nd edition, 1858. Plate #6 from Robert Knox’s “Man: His Structure & Physiology: Popularly Explained and Demonstrated”, 2nd edition, 1858. 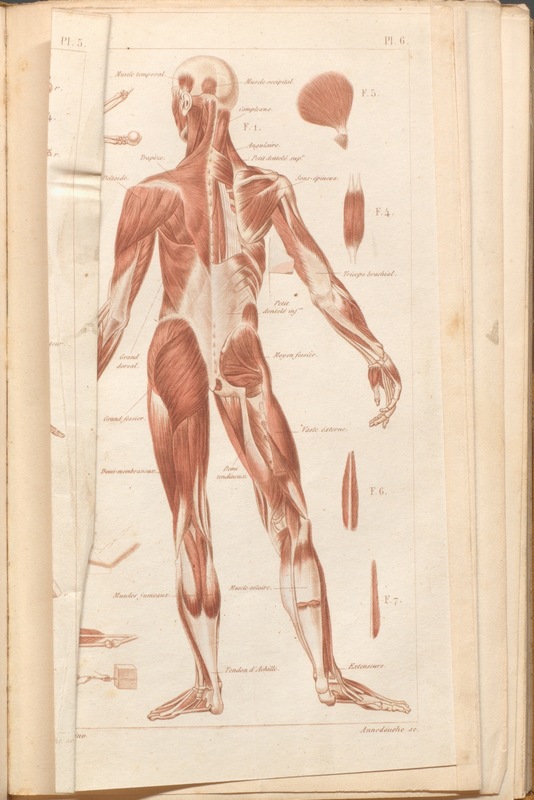 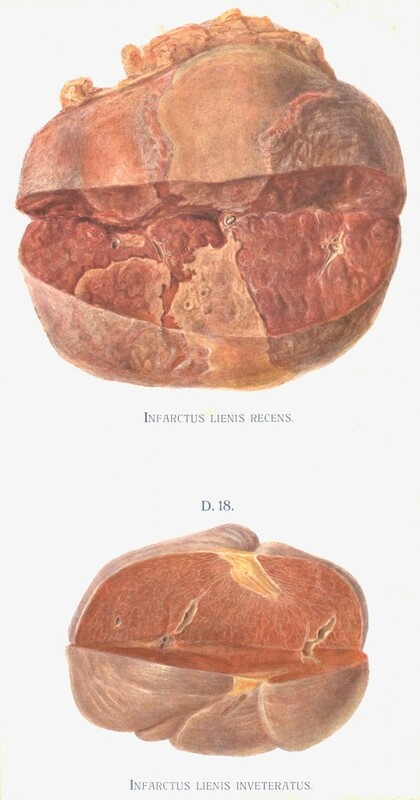 Plate #8 with explanations on opposite page in Robert Knox’s “Man: His Structure & Physiology: Popularly Explained and Demonstrated”, 2nd edition, 1858. 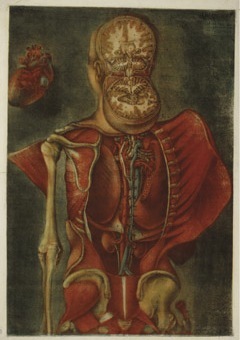 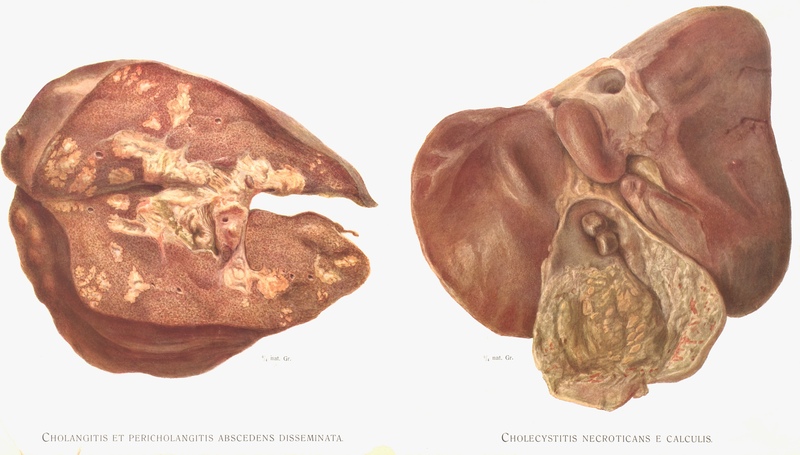 Recent summer housekeeping has turned up a series of rare mounted chromographed plate illustrations from late-19th century patho-anatomical atlas Pathologisch-anatomische Tafeln: nach frischen Präparaten mit erläuterndem anatomisch-klinischem text (Pathological anatomy plates: reproduced from fresh preparations with explanatory anatomical-clinical text) by German internist Alfred Kast (1856-1903). 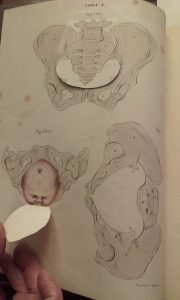 The archives has eight of these illustrations in total, donated to the Osler Library back in the 1970s as part of the Maude Abbott Collection. 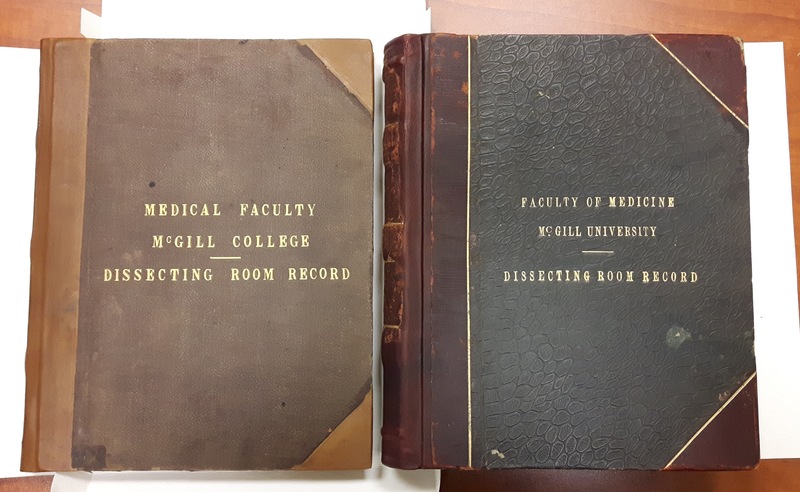 Unfortunately no copy of this atlas exists at McGill, however WorldCat shows The Thomas Fisher Rare Book Library at the University of Toronto as having a copy in their catalogue. 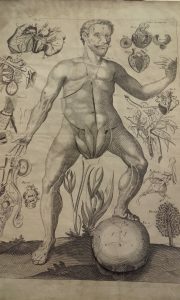 For those interested in seeing more of this series, The Wellcome Trust in London has fifteen of Kast’s anatomical illustrations included in their online Wellcome Images collection.